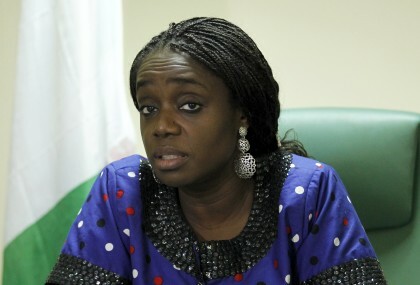 The Minister of Finance, Mrs Kemi Adeosun, said on Thursday that the Federal Government remained irrevocably committed to improving the lot of Nigerians through judicious and impactful management of the nation`s resources. Adeosun stated this at an interactive session with members of the Newspapers Proprietors Association of Nigeria (NPAN) in Lagos. She said that the government was putting in place structures to eliminate waste from the system as well as enforcing the strictest financial discipline. The News Agency of Nigeria(NAN) reports that the Minister of Information and Culture, Alhaji Lai Mohammed; Minister of Agriculture and Rural Development, Mr Audu Ogbeh and Minister of the Environment, Hajia Amina Mohammed were also present at the forum. Adeosun said that this was being done to ensure that all monies spent by government were justified at all time. “What this government is doing is to ensure that every kobo we are spending is for the good of the people and is accounted for. “We are moving away from the past when there was so much waste and people were just spending without really accounting for it. “Whatever fund we are releasing now, we are asking questions on what it is used for. “And we are doing that across the Ministries, Departments and Agencies. “We believe no nation attains development with so much profligacy. And that is why we are taking a number of steps to ensure the country`s money actually goes to the people“, she said. Adeosun said the discovery of about 40,000 ghost workers by the government through the Bank Verification Number (BVN) and the Integrated Personnel Payroll Information System (IPPIS) was a result of efforts to eliminate waste. She said only one person out of the 40,000 ghost workers had so far complained that his salary had been stopped and when he showed up he was promptly arrested by the police. “The government will prosecute all those involved in this scam. One of them was even discovered to have multiple identities and was operating about 200 accounts to draw money from government every month. “This is the kind of loopholes we are talking about. People were just paying salaries, no control. We are putting a check on the system and we even now have a unit at the ministry to monitor salaries alone”, she said. The minister, who put the government`s monthly wage and pensions bill at N165billion, assured that the bill would be substantially reduced after government had captured all workers on the IPPIS. He said arrangements had been concluded to capture the Nigeria Police, adding that the military, the prisons, the railway and other agencies yet to be captured would be incorporated soon. Adeosun described corruption as the biggest barrier to the country`s development and assured that the present administration would tackle the monster head-on. Also speaking, Ogbeh said the country`s annual food import bill of 32 billion dollars was unacceptable. He said Nigeria had the capacity to produce wheat, rice, eggs, and dairy products and other foods that it currently imported. He said that the government was committed to reducing the food bill. “About 23 states have the capacity to produce cocoa; 11 states can grow sugar and so many states can grow rice and wheat. “The bill on imported bill is outrageous and we are going to do everything to reduce it”, he said. The minister said it was the resolve of the present administration not to import any food the country could grow. Ogbeh said that Nigeria would, in no distant future, attain self sufficiency in food production and for exports as the government had mapped out plans to achieve these. Ogbeh justified government`s plans to establish grazing reserves, saying it was the right step to end farmer/herdsmen clashes and boost livestock production. On his part, the Minister of Information and Culture, Alhaji Lai Mohammed, said the present administration had recorded remarkable achievements in the last one year. He cited the reclaiming of territories from the Boko Haram militants and their decimation as one of the achievements. Mohammed said the recovery of looted funds as a result of government`s aggressive anti-graft fight was another achievement. He said that there was now some sanity in the way government`s fund was being used. The minister said the country was gradually transiting from analogue to digital broadcasting.